Another twist on traditional pound cake. 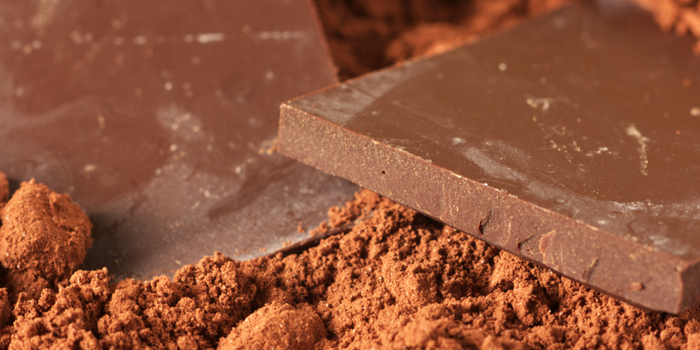 If you like a little chocolate, you will love this recipe which includes a little cocoa powder. Cream margarine or butter, shortening, and sugar together. Add eggs one at a time, beating well after each addition. Sift flour, baking powder, salt, and cocoa together, then add alternately with milk. Stir in the vanilla extract. Grease a 10-inch tube pan very well, then sprinkle some sugar in the cake pan before pouring batter in to create a faux frosting, if desired. Bake for 1 hour and 20 minutes at 350º or until a cake tester comes out clean. This recipe appeared in Southern Sweets: Down-Home desserts from Our State magazine. Recipe by Alice Bowman of Taylorsville. This recipe also appeared in the January 2007 issue of Our State magazine.